To remove the effort and guesswork from sizing, configuring, and integrating data center components, consider converged infrastructure (CI). 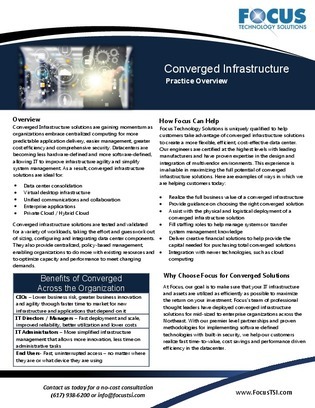 This unique resource outlines the benefits of converged infrastructure from the perspective of CIOs, IT administrators, and end users, including the ability to optimize capacity and performance to meet changing demands. Read on to learn how your enterprise can take advantage of CI solutions.